Analysis of forces in hip joint in static equilibrium is an example of application of principles of mechanics to a biomedical problem. Living systems and structures are much more comlicated than those studied in traditional engineering disciplines. Therefore, many simplifying assumptions are made to render the problem into an engineering one. Many such assumptions are explicitly or implicitly made here as well. To apply principles of mechanics to the equilibrium of the hip joint, we need to know the forces acting on the hip. There are many muscles attachments around the hip (Hall 2012). However, it is customary to assume that to include the forces applied by hip abductors and ignore the action of other muscles. Hip abductor forces are applied on the greater trochanter of the femur, mainly by gluteus medius accompanied by gluteus minimus and tensor of fascia lata femoris (Okuno & Fratin 2014). Figure 1 illustrates how the hip abductor action is simplified as a single force acting on the greater trochanter. The other end of the main hip abductor, gluteus medius is attached to the iliac crest. 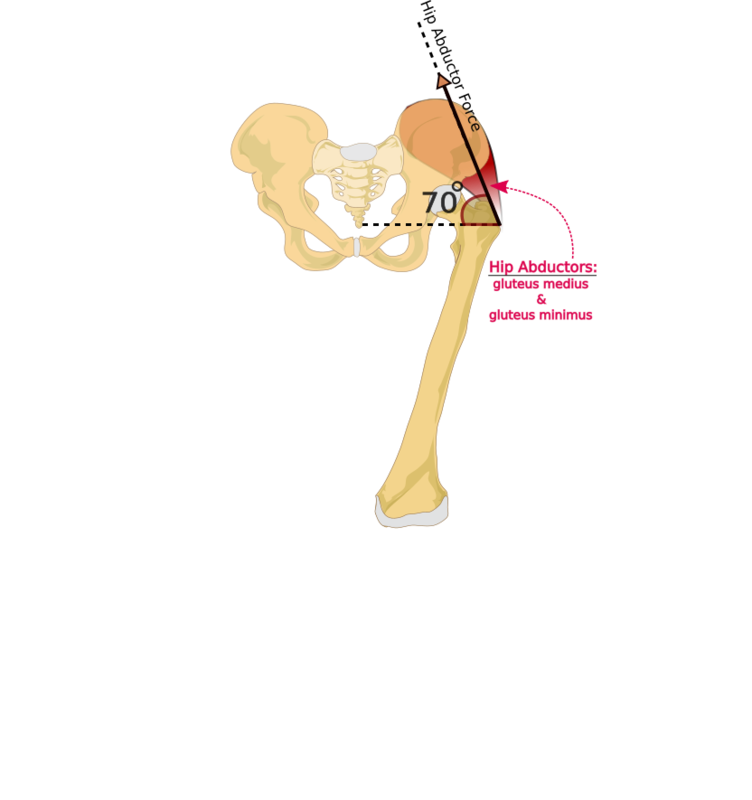 Figure 1 shows that the hip abductor force is applied at angle of 70° The tip of the external force vectors (N, J and H) are placed at their point of application on the leg bones. (Okuno & Fratin 2014, Hall 2012, & Lucas, Cooke & Friis 1999 ). 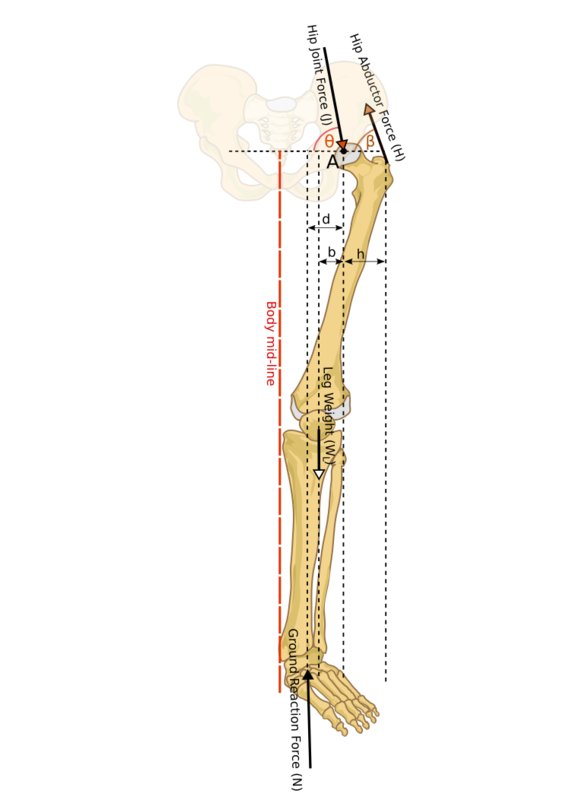 Figure 2 shows a Free Body Diagram (FDB) of bones of a left leg of a standing person. Equation (2.7) gives the vertical component of J, and equation (2.8) gives its horizontal component. They can of course be used to calculate the magnitude of J as well. WL is approximated by equation (2.1). The estimated value for β is given in equation (2.2). In case of two-legged stance the assumption of symmetry gives: N=W2 , and in case of single-legged stance the fact is that: N=W . Equation (2.6) to (2.8) can be applied to calculate forces on hip, H and J, during both two-legged stance and one-legged stance, if b, d and h are given.